Discover the world of vehicles at Volkswagen Slovakia! 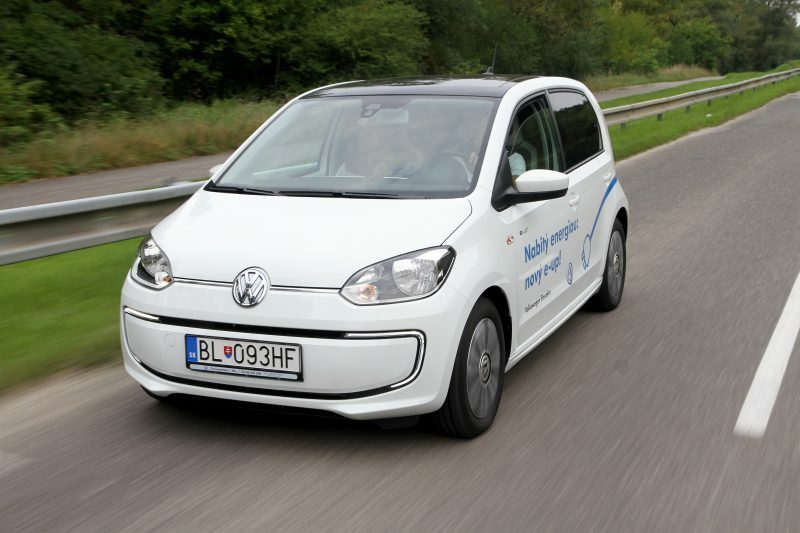 Experience a unique ride in the first VW car with purely electric drive – Volkswagen e-up! 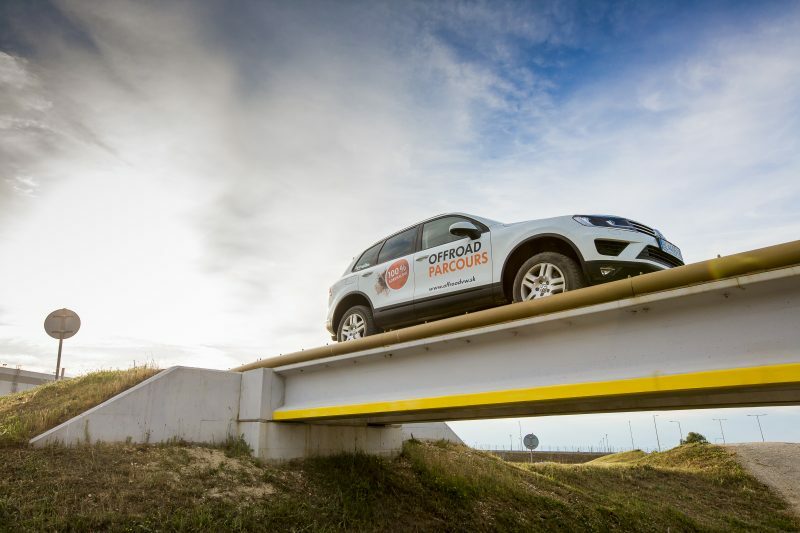 During the one-hour drive in the city and on the highway you will learn how the electric engine is working and you will be the first in Slovakia to test the properties of this unique car on the roads of Bratislava. * The price includes car rental with an instructor for 60 minutes for 1-3 persons. Thanks to the off-road extras, including an enlarged fuel tank holding 100 litres, Touareg is almost up for any challenge. It climbs slopes with a gradient of 45 degrees, descend hills at 2-3 km/h thanks to an electronic assist, and masters the lateral slope gradient of up to 35 degrees. The driver activates the off-road programme, reduction, both differential locks and the driving mode through a five-stage rotary switch. Area View is a global innovative solution which displays the whole area around Touareg to the driver on a display. Sixty minutes behind the steering wheel of Volkswagen Touraeg. You are the driver, with your instructor in the front passenger seat. The ultimate experience. 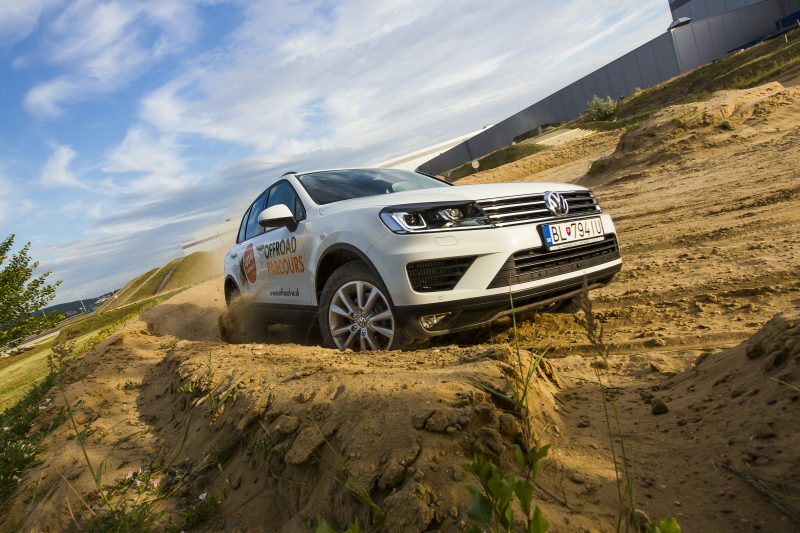 You are driving on the challenging Offroad Parcours track. The instructor is in the front passenger seat. Two hours of pure driving fun. The package includes refreshing drinks, a valuable gift and photography. The package price is valid good for 1 to 3 persons + instructor. Give your friends a real adventure. 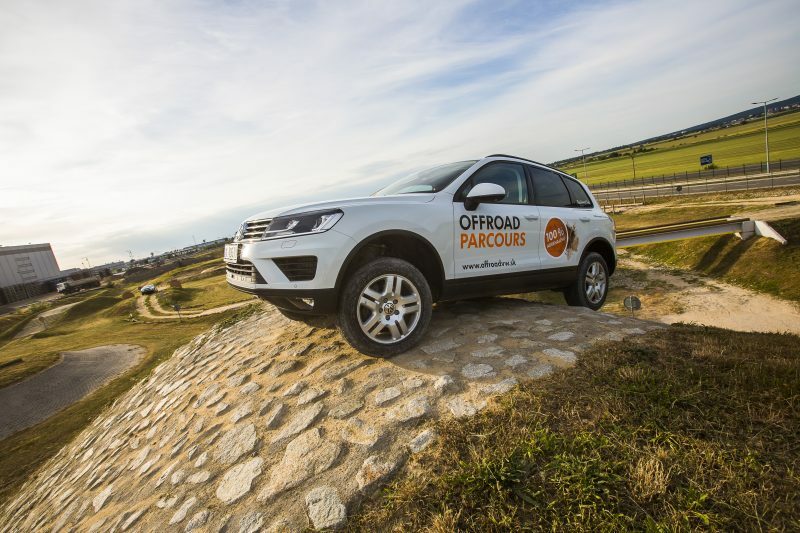 The Offroad Parcours track is open from April to October. For safety reasons, access to children under 12 years of age is denied. Plunge into the world of automobile production and see how cars are made at Volkswagen Slovakia. Plant tours are available by appointment from Monday to Friday (08:00-18:00 hours). Guiding is available in Slovak, German or English. The tour begins in the Visitor Centre where you can see the models manufactured in Bratislava, components made in Martin, and get the introductory information on the plant. We, at Volkswagen, put large emphasis on being always in the forefront of innovation. You will see for your own eyes how innovation works in practise in Bratislava. You will learn more about new manufacturing processes and technologies thanks to which our cars are becoming lighter as their performance increases! Shake hands with the unique world of electro-mobility! Watch from immediate proximity how the purely electrical Volkswagen e-up! and Volkswagen Touareg Hybrid are manufactured in Bratislava. We will bring you behind the scenes and show you the state-of-the-art technologies we use in manufacturing our ever more green vehicles. 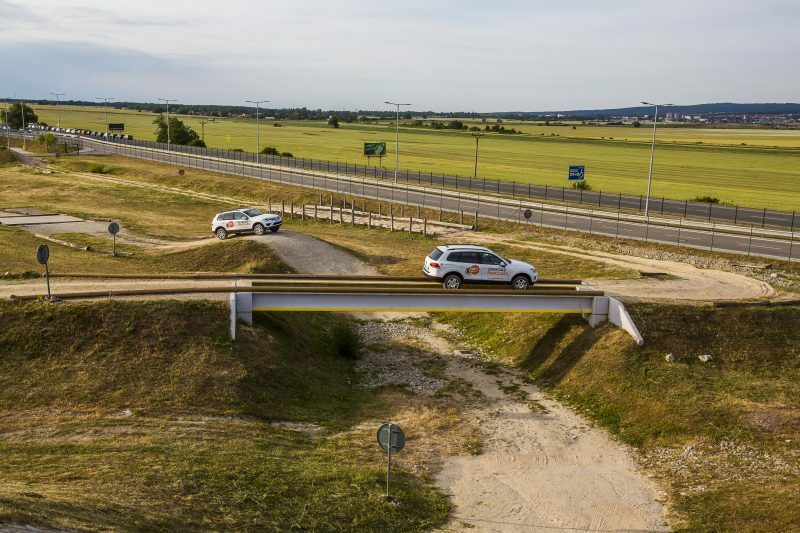 Join us for a visit to a place where the past, presence and future of Volkswagen Slovakia intersect. You will visit three halls, from the oldest to the newest. Apart from becoming familiar with our manufacturing processes and production development, you will also get to see an exhibition at AUTO FORUM which also features some of the older models made in Bratislava. Tour of the Aggregates Hall (manufacturing of aggregates) costs € 4 per person, € 2 per senior citizen, duration: 90 minutes. The tours are organised from Monday to Friday between 08:00-18:00 in Slovak, German and English. The maximum number of participants per group is strictly limited to 15. Should the number of visitors exceed the limit, they will be divided into several smaller groups which will take the tour simultaneously. The tours for students and schools are free of charge! The use of alcohol and narcotic substances before and during the tour is prohibited. The taking of still or moving images in the whole area of the plant is prohibited. No entry into the plant with cameras or other image recorders. All visitors of the manufacturing halls must wear solid and closed footwear. Visit our VW shop and get yourself and your loved ones a souvenir of Volkswagen Slovakia. Discover the unique offer of original services for your customers and trade partners at Volkswagen Slovakia. Are you looking for a room equipped with state-of-the-art technologies for you, your customers and your trade partners? We will turn the AUTO FORUM exhibition area or the modern PULSE conference centre into a venue fit to host any event of your choice. The newly-built PULSE centre, which can host events for up to 200 participants, includes two conference rooms, an ample catering zone, plus other areas to accommodate your specific needs. Apart from being the entrance to and exit from the tour, AUTO FORUM can be converted to a venue for different types of special events. 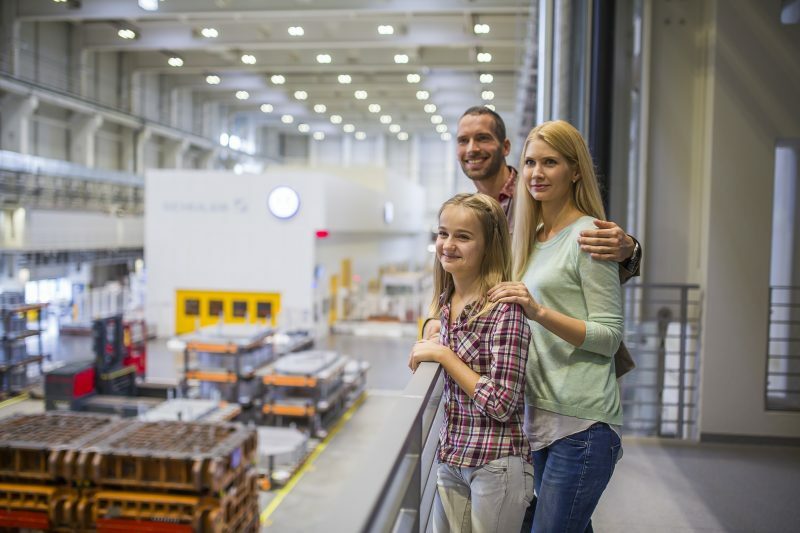 Volkswagen Slovakia connects quality with passion for automobiles. This combination gives birth to cars which makes the hearts of all car lovers beat faster all around the world. VW has been present in Slovakia since 1991 and belongs to the biggest corporations in the country. In 2015, the number of employees exceeded 10 000. The plants of Volkswagen Slovakia are located in Bratislava, Martin, Košice and Stupava. The Bratislava plant of Volkswagen Slovakia is the only automobile plant in the world manufacturing five car makes under one roof. It manufactures exclusively Volkswagen Touareg, Audi Q7, Volkswagen up!, Škoda Citigo, SEAT Mii and the bodies for Porsche Cayenne. More than 99 % of the plant’s output is exported to 148 countries. The plant in Martin, established in 2000, is one of the largest manufacturers of components for transmissions in Slovakia and one of the biggest employers in the Turiec region. It manufactures four main groups of components: flanged shafts, synchronous rings, differentials and chassis components. The plant in Košice, which prepares Volkswagen cars for the Russian market, began its operation in 2004. The youngest of the four Volkswagen Slovakia plants, opened in Stupava in 2014, specialises in the manufacture of tools and instruments.